Like many of you, sometimes my thoughts are quicker than my mind. 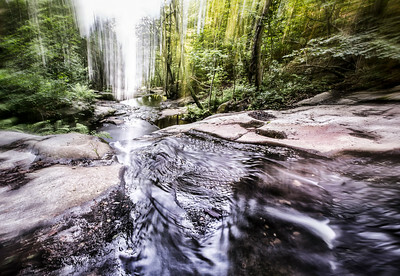 On those occasions, I use a blurred effect to capture this feeling in my images. These photos represent that precise sensation—you can see the idea, but must focus on it to grasp the full meaning. 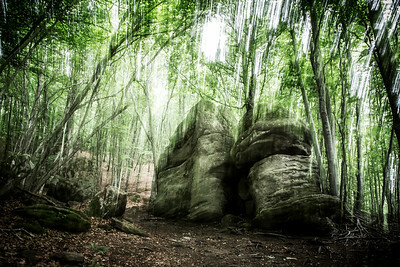 This photograph is part of a series that I took at “Les Roques Encantades” that literally means The Enchanted Rocks; the forest it’s close to “El Santuari de la Salut” in the Girona province, and it is not far from “Rupit”, a medieval town worth visiting. I really enjoy taking this kind of photograph, the landscape in front of you gets a different dimension and it became something ethereal; it’s like getting into the dreamland.Do you like this photo? Get Your Print. 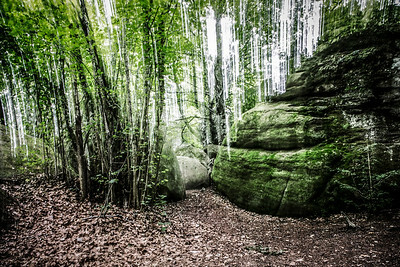 This photograph is part of a series that I took at “Les Roques Encantades” that literally means The Enchanted Rocks; the forest it’s close to “El Santuari de la Salut” in the Girona province, and it is not far from “Rupit”, a medieval town worth visiting. 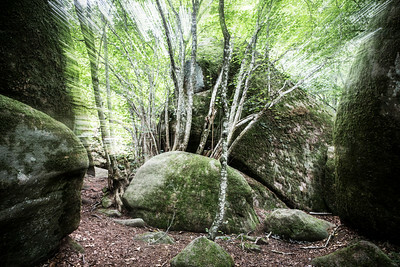 It’s amazing to see how trees and rocks are living ones inside the others in this forest.Do you like this photo? Get Your Print. 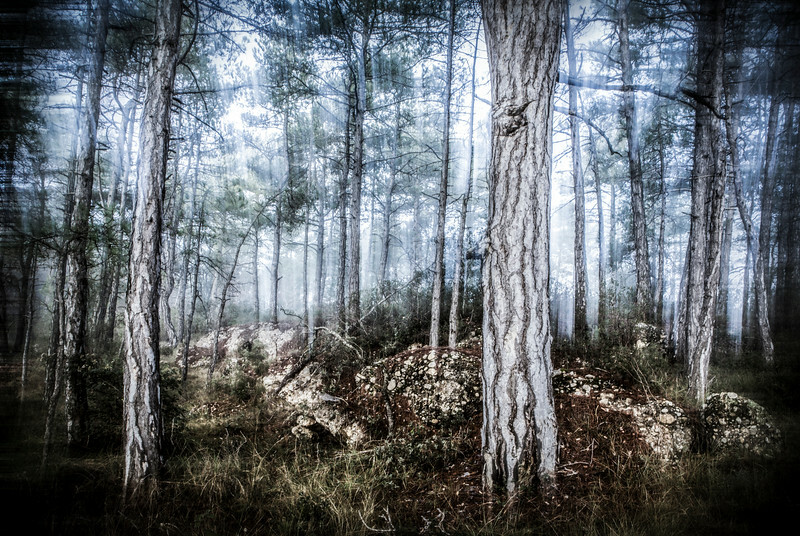 This photograph is part of a series that I took at “Les Roques Encantades” that literally means The Enchanted Rocks; the forest it’s close to “El Santuari de la Salut” in the Girona province, and it is not far from “Rupit”, a medieval town worth visiting. These “little” two rocks are placed behind the main area and you have the border it in order to get to them. I love this spot, If I go alone I always like to seat there looking at the rocks in the photo, and relax for a few minutes.Do you like this photo? Get Your Print or download it as a wallpaper. 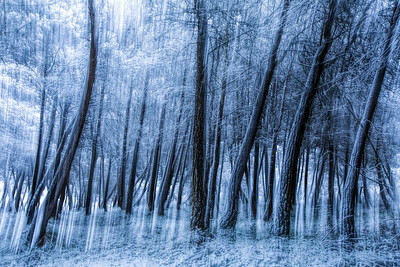 Viewing this image, you might remember a very similar one from my “Unexpected Snowfall” post. When I was preparing to publish that first image, I had quite a difficult time choosing between this abstract version and that HDR landscape. Well, now you can enjoy both of them.Do you like this photo? Get Your Print or download it as a wallpaper. 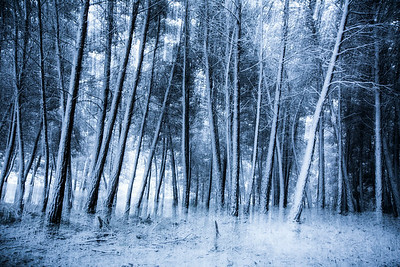 This image is from last year’s snowfall. When I saw the arched shape of the left pine tree, I couldn’t resist panning to create an extra surreal effect.Do you like this photo? Get Your Print or download it as a wallpaper. 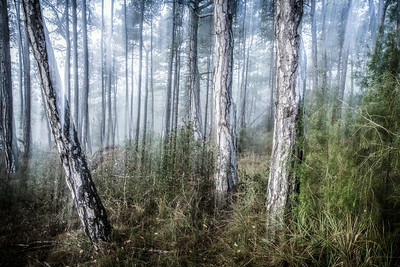 This photograph was taken in a small, old forest in Baronia de Rialb. The original plan was to capture the area’s beautiful landscapes, but the weather had other ideas and the fog didn’t lift all morning. However, I had plenty of time to entertain myself creating photos like this one.Do you like this photo? Get Your Print or download it as a wallpaper. Last month I was visiting the beautiful township of “La Baronia de Rialb” in the northeast of the “La Noguera” region in Catalonia. The closest mountains were covered with fog and the sun was only visible for a few moments. 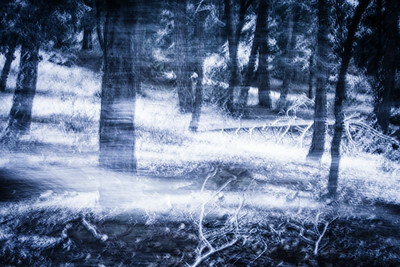 It was not the best day to capture landscapes, but it was the perfect opportunity to create a few interesting abstracts. 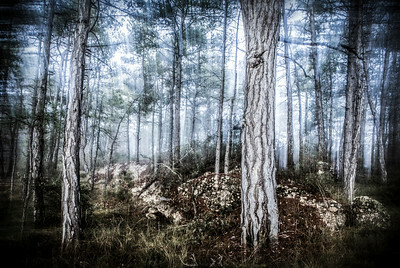 This photo was taken on the small plain behind the “Mas Barrat,” an old farm that is now in ruins.Do you like this photo? Get Your Print or download it as a wallpaper. This photo was taken in the Catalan Pyrenees, not far from El Collet de les Barraques. It was a perfect summer morning, with the sun shining and a refreshing breeze and keep the right temperature.Do you like this photo? Get Your Print or download it as a wallpaper. 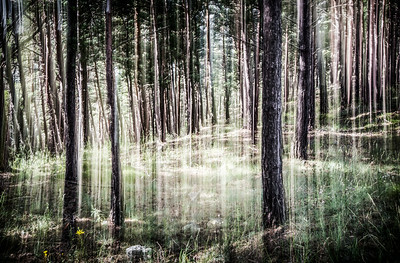 The day I took this photograph, I was not exactly lost, but after an hour inside the forest, I was not able to locate the particular spot I had in mind. Granted, this visit occurred more than fifteen years ago but was still disappointed I couldn’t find my intended location. However, there is always an opportunity to capture a great photo; it is just a matter of looking around and try to convey what you feel in what you see. Do you like this photo? Get Your Print or download it as a wallpaper. Some time ago, I visited the Santa Fe Water Reservoir. 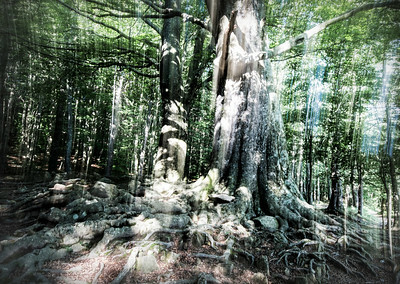 It’s located inside the Montseny Natural Park, which is a beautiful place to visit year round. Before reaching the reservoir, you have to walk side by side with ‘La Riera de Santa Fe,’ a small stream of water responsible for filling it.Do you like this photo? Get Your Print or download it as a wallpaper. 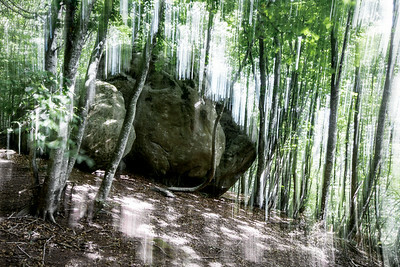 This giant stone is located in The Enchanted Forest, close to Sant Feliu de Pallerols. It is a beautiful place for trekking and enjoying nature.Do you like this photo? Get Your Print or download it as a wallpaper. 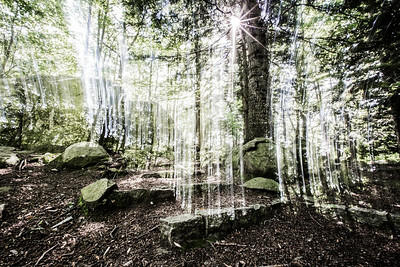 This photo was taken near a reservoir located in Santa Fe, inside Montseny Natural Park. 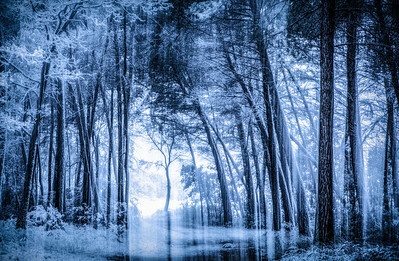 It is the perfect place to enjoy nature, disconnect from our busy life, and why not... a great place to create abstract photographs!Do you like this photo? Get Your Print or download it as a wallpaper. I took this photograph near the Santa Fe reservoir. If you have been in the area before, you will probably recognize this tree: it is huge, with strong roots, and when you walk around it you can feel how magnificent it is. Do you like this photo? Get Your Print or download it as a wallpaper. From time to time, I like to capture abstract pictures. This one was taken almost a year ago, but until now, I had not determined how the final picture should look. 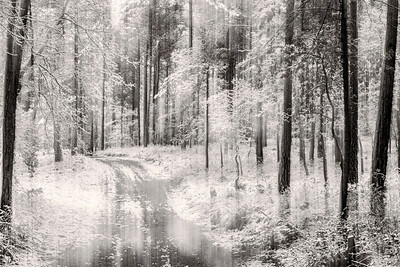 I finally decided on a black and white image to emphasize its dreamy feel.Do you like this photo? Get Your Print or Download it as a wallpaper. A new winter is knocking on our doors, but the weather is still warm at home—well, it is much warmer that it normally is for the season. Therefore, to counteract this strange warm weather, I decided to publish this old image. I took it last February during a short snowfall; it was one of the coldest days that winter.Do you like this photo? Get Your Print or download it as a wallpaper. 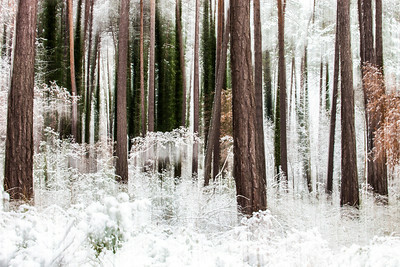 A few weeks ago it was a night snowfall all over Catalonia, the next morning I toke my camera and I went directly to this location, the perfect spot for the photograph I had in mind: long trees, a green background and just a few branches, perfect to play with long exposure abstracts. Do you like this photo? Get Your Print. 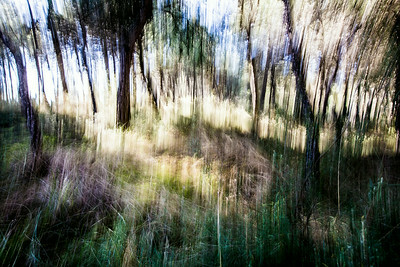 This photograph was taken in a small, old forest in Baronia de Rialb. The original plan was to capture the area’s beautiful landscapes, but the weather had other ideas and the fog didn’t lift all morning. However, I had plenty of time to entertain myself creating photos like this one.